Udalguri, Feb. 10 (PTI): Suspected militants of All Adivasi National Liberation Army (AANLA) have made a failed bid to kidnap a businessman in Lower Assam’s Udalguri district, police said Sunday. Six miscreants came in three motorbikes and opened fire before hurling a grenade, which did not explode, at a market place in Panery in the district Saturday night, in their attempt to kidnap the businessman, Circle Inspector Durga Kingkar Sarma said. 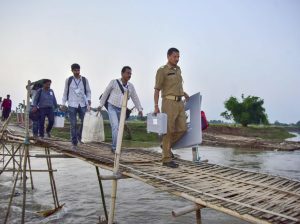 The grenade has been defused and three suspected militants of the Adivasi militant group arrested in connection with the incident, Sarma said, adding that the situation was under control.